the velvet bird: Most Delicious Iced Coffee in the World! Most Delicious Iced Coffee in the World! Awhile back I started making cold brewed coffee and it was, at the time, the best coffee ever. It is way smoother tasting and somehow less bitter (and easier on the tummy for those of you who have problems with that). Well boy was I in for a wild ride when I later discovered this recipe. I have never tasted anything so good, ever! I must warn you that this coffee is addicting... I have to ration it out and restrain myself from drinking all of it in one day (which I maybe did once and could barely see straight at the end of the day). Also, cold brewed is wayyy more potent than other methods of making coffee. Place all ingredients in a jar; stir and let sit covered in fridge overnight. The next day pour coffee into a french press (my preferred method!) or strainer (or the morning my french press broke, coffee filters taped to the top of a jar). Then pour the strained/pressed coffee back into your rinsed out jar for storage. Fill a glass with ice and pour coffee over. Add a splash of milk/cream if desired (and trust me, it's desired). I like to use this creamer, its wonderful. this looks too good! i asked for a french press for my wedding and got a coffee maker but still wanted one- now i know why! can't wait to try this!!! we're always on the hunt for a great iced coffee recp. I'm one of those strange people that don't drink coffee...kind of...but that LOVE iced and super sweetend coffee....and this...sounds and looks sooo delicious..yumyum!! can't wait to try it. Gimmmmmieee! Sorry haha. It just sounds so good. oohhh! I can't wait to try this! I love a good iced coffee!!! Mmmm looks too good and easy enough for an idiot like me! YES! It is wonderful! I love it! Thank you for sharing the recipe! I love your new blog design as well! Also, that logo for your new dress line is so awesome! I've also recently been on a cold brew kick and briefly thought of adding brown sugar. I'm definitely trying this out today. WOW Your site is looking AMAZING! Great new look darlingheart! Iced coffee is seriously one of my most favorite things to drink, but now with the weather cooling down I'll have to get my last glasses in soon! Oh wow, this sounds diviiiiine. 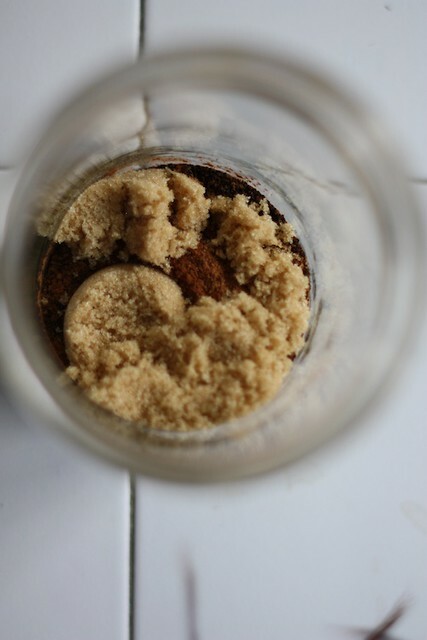 I've recently been making cold brewed iced coffee with honey and cinnamon, but that brown sugar is intriguing me. Congrats on the new site design. It's very sweet and whimsical. Made it today and just pulled it out of the fridge. Oh my gosh so goooooood. Thank you!! 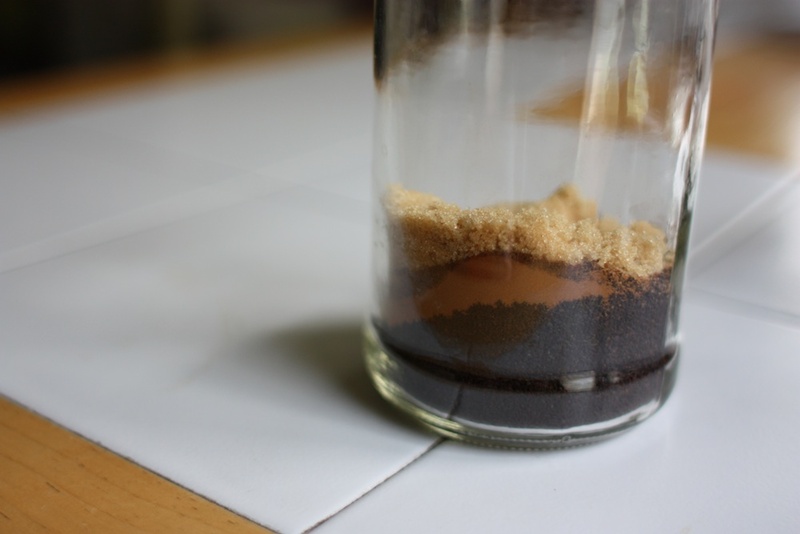 The brown sugar is so delicious, and the cinnamon really adds to it. i want to try it! Oh thank heavens for this wonderful post!! This coffee recipe is the only thing fueling my I-gotta-finish-this-homework-before-deadline sleepy eyes wide open. Thanks to this lovely recipe I can now stay awake although you were NOT kidding when you said it was absolutely divine and addicting!! I cant wait to try this! Especially that pumpkin one. wow. I love coffee and work coffee, and this sounds like something I've gotta try. i don't get this. Do you used boiling water or just cold water? Cause with coffee making, i thought you're supposed to be using boiling water. Didn't u read Ryan? It specified COLD water. That's why you leave it overnight to allow the flavor to encompass the water. Heated water allows for this effect to take place much quicker. But then you would have hot coffee. Yuck! I just posted the same recipe on my blog! It is seriously the most delicious iced coffee EVER! And yes, super addicting. Yikes! I just mixed this and put it in the fridge. So excited to try it! Thanks for sharing. I made this yesterday and jus had my first taste. What a great recipe! This is my new favorite. Thanks! this is the best iced coffee i have ever made. so easy. so delicious. thank you! a great, easy gift to give in a nice mason jar, too, with the dry ingredients, and a tag attached with the instructions. Yay! We are making this right now!! Sounds delish............can't wait to make it. You should freeze left over coffee or fresh made in ice cube trays and then add to your iced drinks. No watered down iced coffees!!! Oh dear! I think I've just found a new addiction! help me! Found you via pinterest and this sounds divine! Where is a link to the pumpkin recipe version? Omg heaven in my mouth... I used 4 cups water and I cup coffee, 2 heaping spoonfuls of Splenda brown sugar and about a tsp of cinnamon. Then when it's ready to drink I mix it with creamer or milk or whatever I have and add 2 tsp of vanilla sugar free syrup. Omg the cinnamon and vanilla are ammmmmaaazzzziiiinnnggggg in my mouth... I want to drink this all day! I made this and it is so darn good. I add some milk and ice- perfection is all I can say. I am making a double batch this time. I LOVE coffee, and this has got to be, by far, the best recipe I've tried. Thank you so much for sharing. Try adding Coconut Creamer (organic) to it. Delicious!! I love making and drinking ice coffee. However i have never tasted this method. Looking forward to try it. Thank you - this was fantastic! I fill an ice tray with brewed coffee so my ice cubes don't dilute my iced coffee. Yum! Literally read this and immediately made it. It got me all the way through a hard day of work! Not to mention it is DELISH!! 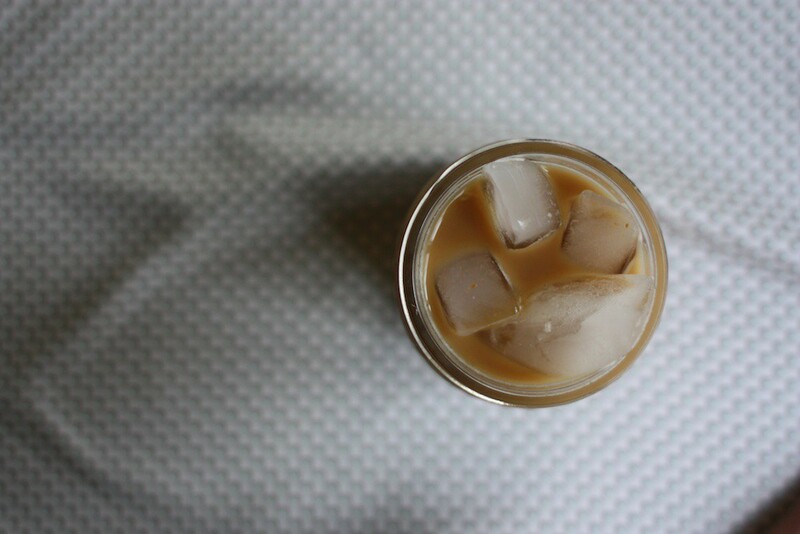 Its my definite go to iced coffee recipe hands down!! THANK YOU so much for sharing!! I didn't have brown sugar, so I just used regular sugar (hooefully it'll work!) and added a splash of vanilla! It's in the fridge now, can't wait to try it! Thanks for the awesome recipe! I am sorry i made this twice and did not like the tatse. I drink ice coffee everyday even in the winter! I just could not get used to the taste. can this be made a few days ahead? This IS the best iced coffee in the world! I think I've tried them all. Thank you so much for this recipe!! I see I am a few years late finding this recipe, but I just had to say how much I like it. I just finished putting together a triple batch in my cold brew toddy maker. Thank you for sharing. I have noted down the ingredients and I'm soon gonna try this coffee at home. My friends are coming at my house for celebrating a party. I'm planning to have this iced coffee as one of the refreshments. I hope they will love it too. شركة السياحة العالمية في مصر تقدم رحلات متقدم في فنادق سياحة متطورة شاليهات العين السخنة وعلي اعلي مستوي من التميز استمتع الان بالكثير من الخدمات . صيانة علي اعلي سمتيو بيد متخصصين ذو كفاءه عالية ومتميزه في مصر صيانة ويرلبول استمتع الان بالكثير من الخدمات المتميزه علي اعلي جودة في مصر بيد متخصصين . اقوي العروض والخصومات من خلال شركة سوقني التي تقدم اليكم التصميم والتسويق التسويق الالكتروني علي اعلي مستوي من الجودة في العمل استمتع الان بالكثير من خلال الموقع . الان في المملكة افضل الخدمات شركة تنظيف شقق بالمدينة المنورة لدي شركة فرسان الخليج المتطورة في اعمال االتنظيف علي اعلي مستوي من الجودة علي دي اكبر عمالة مدربين علي التنيظف بش جديد . 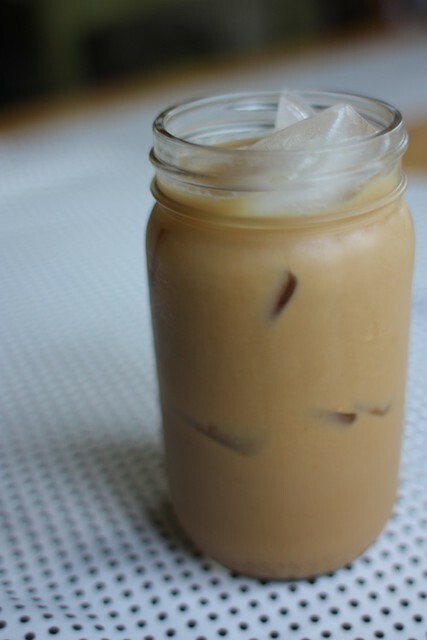 The BEST homemade ice coffee and so easy to make!! This is just ok. I Much prefer to make a big batch of cold brew which leaves the door open for different drinks from the same batch of cold brew. I will not be making this again. InstaaCoders Technologies pvt. Ltd providing web design in Los Angeles,Website Development Company Los Angeles, Mobile App Development Company in Delhi services to companies and startups from Canada and USA.